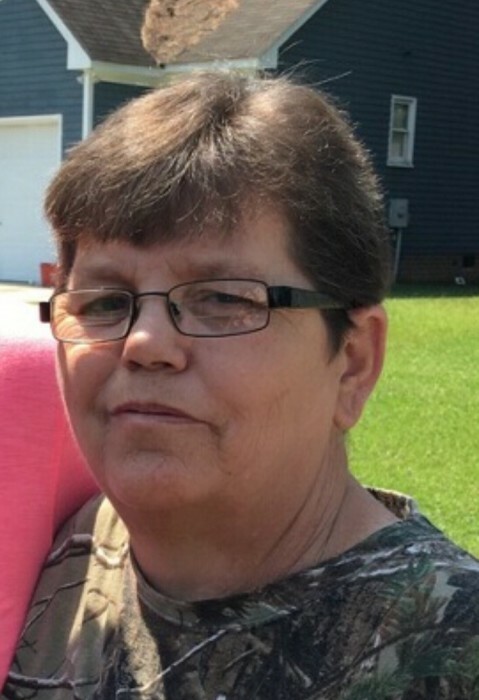 Marilyn Kay Niece, 55, of Wallingford, passed away unexpectedly on Wednesday, March 27, 2019, at St. Claire Regional Medical Center. She was born in Rowan County on February 29, 1964, to the late Alma Lorene Dyer Muse and Dennis Muse. Marilyn was a homemaker and had recently started attending Bald Hill Christian Church. She is survived by her husband of 37 years, John Niece, Jr.; her son, John Dennis Niece and wife, Debbie; her daughter, Shonda L. Niece; and her grandson, Brantley Dean Beatty. She is also survived by her brother, William Logan; her sister, Glenda Cord; her uncle and aunt, Billy and Betty Dyer; her aunt, Judy Rudd; her nephew, Randy Cord and wife, Tosha; her niece Vanessa Ziegelmeier; and her great nephew, Braxton Cord. In addition to her parents, she was preceded in death by several aunts, uncles and other family members. Service will be 3 p.m., Sunday, March 31, at Boone-Nickell Funeral home with Bro. Jim Porter officiating. Marilyn will be laid to rest in Point Pleasant Cemetery. Visitation will be 1 to 3 p.m., Sunday, at the funeral home.